What better day to gluttonously over-appreciate your favorite things in life than a birthday? Affirmably, the quintessential purpose of the annually-occuring birthday is to surround oneself with the people and food you love. In celebration of mine over the weekend, I wanted nothing more than to spend copious amounts of time with a handful of my loved ones doing little less than giggling and eating. And eating. Sushi, pasta, pad thai, pizza, pastries, coffees. ...Macarons. 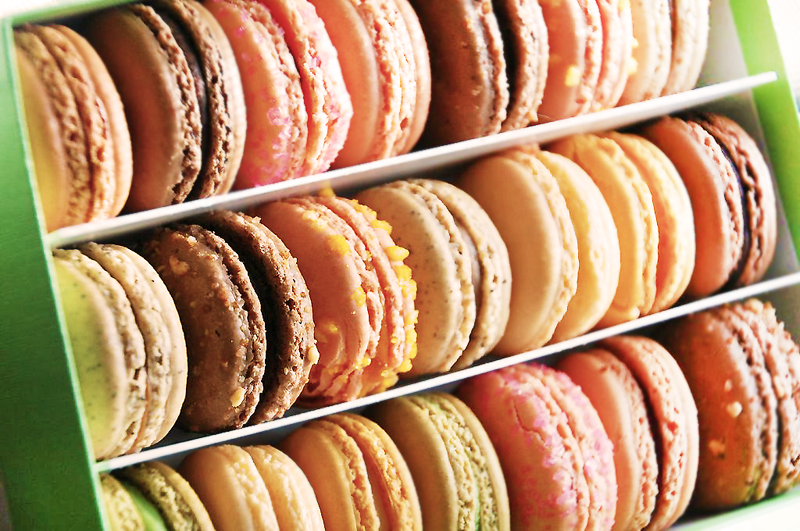 Ahh, the extra-large assorted box of macarons. (Thank you, girls!) 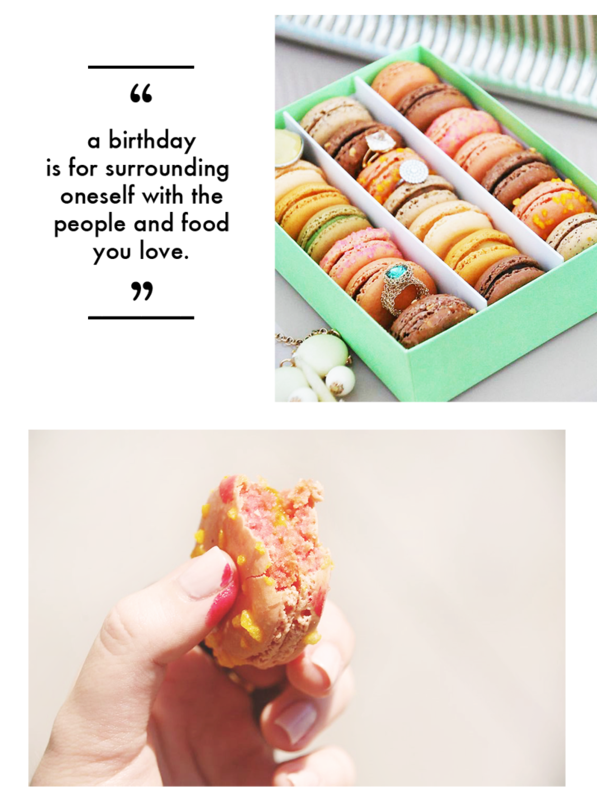 One morning amidst all this gourmandization two of my very talented best friends shared in the coupling of two things I love; those fancy little french cookies, and this blog. I could not be happier with this point in my life; in the past year I saw new people, new adventures, and so soo much love. I don't feel that I especially have too many years under my belt, but I'm certainly liking the way I've grown into them. I know my plans with this year as I settle into it are to continue to enjoy every moment that is fleeting. I urge all of you to view time in the same. Nothing lasts, and everything lasts. Each new day is a wonder.